Yesterday was a great day to be outside! 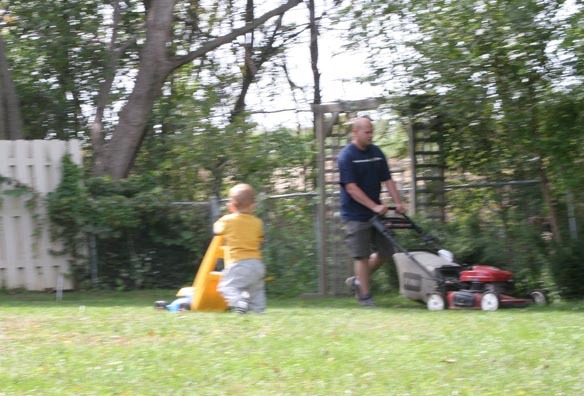 The boys decided to mow the backyard, and finish some chores out back. Ben had a grand time playing in the girls water dish while we cleaned and drained the pool.